Rightly or wrongly, the legend of Dracula is inexorably linked to Romania. To Transylvania in particular. While many Romanians cringe at the very mention of the name Dracula, others have embraced the myths and legends surrounding the character, milking them for every penny by setting up Dracula tours and Dracula city breaks. At one stage in the late 1990s, even the Romanian government decided to get in on the act, and set about creating a Dracula Theme Park in Sighisoara, birthplace of Vlad Tepes, the despot on whom the Dracula myth is very loosely based. It never opened. Although Bram Stoker's Dracula is of course a work of fiction, it does contain some historical references. The historical connections with the novel and how much Stoker knew about the history are a matter of conjecture and debate, however. It was perhaps the publication of In Search of Dracula by Radu Florescu and Raymond McNally in 1972 which did most to connect Stoker's Dracula with Vlad Tepes (or Vlad Dracul, or Vlad III of Wallachia). Born in Sighisoara (his birthplace is now a restaurant and forms a key part of any Dracula tour) during his various spells on the Wallachian throne, (1448; 1456–1462; 1476), Vlad is reported to have killed anything from 40,000 to 100,000 civilians (political rivals, criminals, and anyone he considered 'useless to humanity'), mainly by impaling them on spikes. Vicious even by mediaeval standards, Vlad is nevertheless revered as a folk hero by many Romanian nationalists, not least for fending off the invading Ottoman Turks, of which his impaled victims are said to have included as many as 100,000. 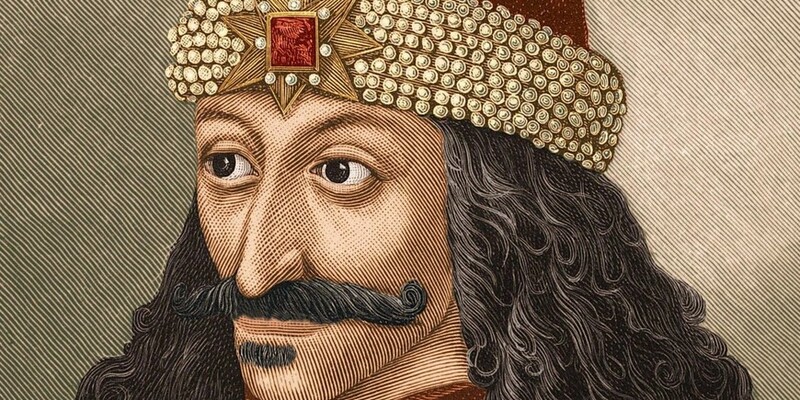 While it should be pointed out that Stoker never visited Transylvania (or any part of what is today Romania), it's clear that he was aware of Vlad Tepes, for the book contains a number of accurate historic references, not least Dracula's fight against the Turks and later betrayal by his brother. What is not true is the popular belief that the name Dracula translates as 'son of the devil' in Romanian. Dracul simply comes from the family name Draculesti, derived from a Chivalric order called the Order of the Dragon, founded by Sigismund of Luxembourg (then king of Hungary) to uphold Christianity and defend the Empire against the Ottoman Turks. Vlad II Dracul - father of Vlad III - was admitted to the order around 1431, after which Vlad II wore the emblem of the order and later, as ruler of Wallachia, his coinage bore the dragon symbol. At the time he was alive, Vlad would have been known as Vlad Tepes: the Vlad Dracul moniker only became popular after the publication of Stoker's book in 1897. As such, Bran fits the part, yet while there is little doubt that Vlad Tepes used Bran at some stage (not least when fighting the Turks) it is the fortress at Poienari - on the Transfagarasan road - which has perhaps the greater claim to be Dracula's Castle. However, it is worth noting that while Vlad did use Poienari as a home from time to time (more than can be said for Bran) it was not his primary residence, which was at Targoviste and - later - Bucharest, where he founded a court. Usually open to visitors, the remains of the court (in what is today known as the Old Town) are currently closed for an archaeological dig. Vlad died in 1477, and his body was for centuries believed to have been buried at Comana, a monastery south of Bucharest, founded by Vlad in 1461. The Comana monastery was demolished and rebuilt from scratch in 1589. Since the 19th century however, a number of Romanian historians have often claimed (without any kind of documentary evidence), that Vlad was in fact buried at Snagov, an island monastery north of the capital. To support this theory, the so-called Cantacuzino Chronicle was cited, which claims Vlad as the founder of this monastery. He wasn't: the monastery at Snagov dates from at least a century before Vlad's birth. During the 1970s, when nationalist fervour was rife in Romania, there was much speculation that an anonymous tomb at Snagov's monastery church was that of Vlad Țepes. These have since been rejected by almost all respectable Romanian historians, who today favour Comana as the most likely location of Vlad's remains. 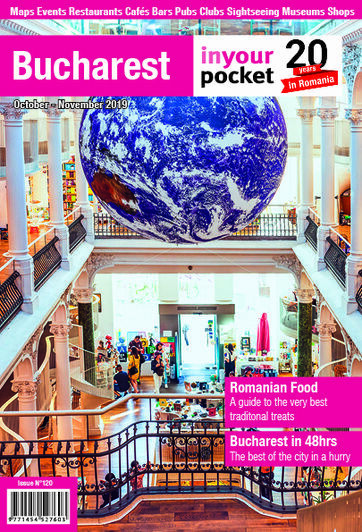 A number of travel agencies in Bucharest and throughout Romania organise Dracula-themed tours which visit the places mentioned here, as well as many others linked with the Dracula legend and the life of Vlad Tepes. We list a number of them (all of which we recommend) below.